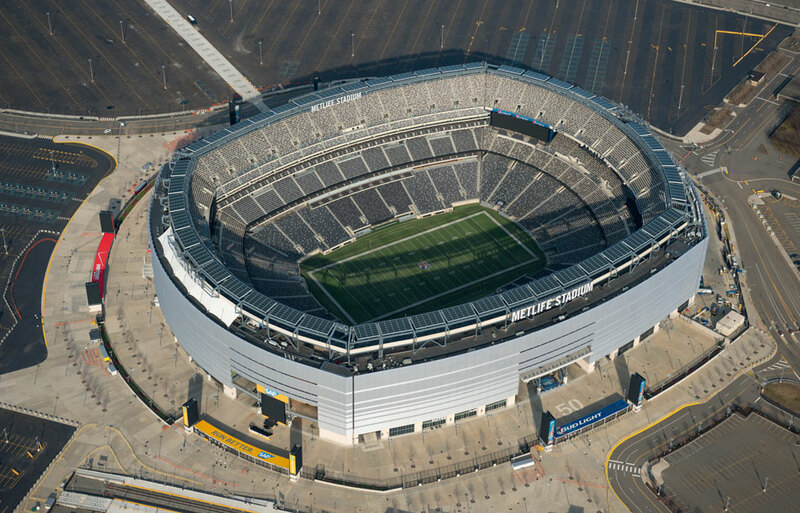 Skanska USA was awarded the design-build contract of the New Meadowlands Stadium, a technologically advanced open-air sports and entertainment venue. The structure has spectator seating for 82,000, including 217 luxury suite boxes. The new stadium is the home field for the New York Giants and the New York Jets—the first facility built specifically to accommodate two National Football League teams. ACS Underground Solutions had prior knowledge of this site. We had successfully located and marked out utilities in and around the older stadium on the same site in 2004-2005. Our experience and expertise kept ACS on the top of the contract list for the new stadium. Skanksa USA awarded ACS Underground Solutions the contract—to survey and locate the fiber optic communication, sewer, water, gas, and electrical lines for the new construction. The project required driving more than 5,000 piles into the ground for the new construction. That presented ACS with a huge workload for several technicians working full time for months. The old stadium’s existing utilities were still operating and had to be protected at all costs. We faced many challenges with the factory preset frequencies used in underground utility locating instruments. Our utility locating technicians had to come up with several different frequencies to complete the project. We selected very low frequencies to avoid “bleeding off” onto opposing utilities. Because the new stadium was loaded with utilities and many different frequencies, finding any one utility was a challenge. The system recommended by Ian Beaver, president of ACS Underground Solutions, worked perfectly. Once the utility location system was in place, piles were approved and driven. ACS cleared approximately 6-8 piles a day. We also used GPR (Ground Penetrating Radar) on the site to verify any lines at depths of 15 feet. We began by using 500 khz in wet clay but that was such an incredible challenge we switched to 250 khz to improve the site conditions and clearance.